Find the Best PEO Company. Welcome to PEOcompare, where we strive to offer the most comprehensive tools and resources available for businesses looking to outsource their HR to a professional employer organization. Coming from within the PEO industry we knew that business owners were looking for a simple way to identify top PEO companies that matched their needs. However, we were unable to find a single online source that provided the business owner with an unbiased comparison of PEO services. Consequently, we designed PEOcompare to provide a free, impartial comparison of top PEOs using our detailed Matching Tool or our faster and easier PEO Quick Compare. There are website resources available representing multiple professional employer organizations but these are clearly broker sites. The broker based model can provide added value, in that they obtain quotes for you, however this value results in commissions leading to additional cost to the PEO which will be passed on to the small business client. To reiterate, our philosophy at PEOcompare is that we treat all PEOs with the same considerations. We do not give preferential treatment to any of our participating PEO vendors. We believe that the success of our site will rely on this neutrality and in our ability to find the best PEO company for you. 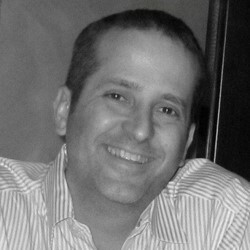 Mark Sokol is the founder of PEOcompare.com. He has successfully developed teams and driven growth at companies including Geac Computer Corporation, Sage Software, Mintek Mobile Data Solutions, Gevity, Ceridian and ConnectWise where he has held roles in marketing, product management and product support operations. Mark holds an MBA from the University of South Florida, along with a B.S. in Management Information Systems. In addition, Mark is currently a member of AMA (American Marketing Association), RSPA (Retail Solution Providers Association), ESA(Electronic Security Association) and has had prior memberships in SHRM (Society of Human Resources), SCTE, HFTP and the Tampa Bay Technology Forum. Carolyn began her early career within the sciences and previously held a FL License as an Optician, Apprenticeship Sponsor, ABO/NCLE Certification and is a prior member of the Professional Opticians of Florida. Carolyn took over the development and operations of PEOcompare.com in 2009 and has grown the company into one of the most respected resources in the PEO comparison industry. 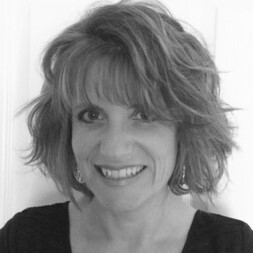 She is a member of SHRM and writes about issues that affect small business.